Last week the pair hit two-year lows at the level of 0.8890; however it failed to maintain this level for long. 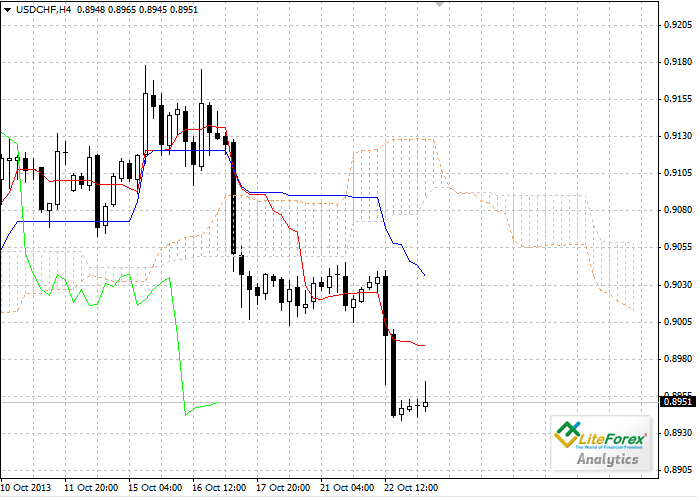 Probably current rise is just correction and the pair will try to overcome support level of 0.8890 once again. It is also possible that the USD will continue to strengthen, especially if the US Fed will curtail Q3 program this year. Following the announcement of the outcome of FOMC meeting, the pair EUR/USD has slightly declined. The USD was supported by optimistic forecast of the US economic growth. Fed members said about the rise of economic activity and possibility of phasing out of quantitative easing program later this year. On Tuesday the pair GBP/USD fell amid strengthening of the USD. The American currency was supported by favourable data on industrial production and capacity utilization. A trader is a profession that requires learning and mastering, like any other profession. You cannot just become a professional in a day. Stats show that only 5-10% of traders can actually show consistence results and earn money in the long run. Financial market is not a place for amateurs and gamblers! Only the best can win in the long run! On the four-hour chart Tenkan-sen line is above Kijun-sen and they are both horizontal. Chinkou Span line is crossing the price chart from above, current Kumo is ascending. The pair has pulled back under Tenkan-sen (1.3792) and Kijun-Sen (1.3786) lines, which become a resistance levels. 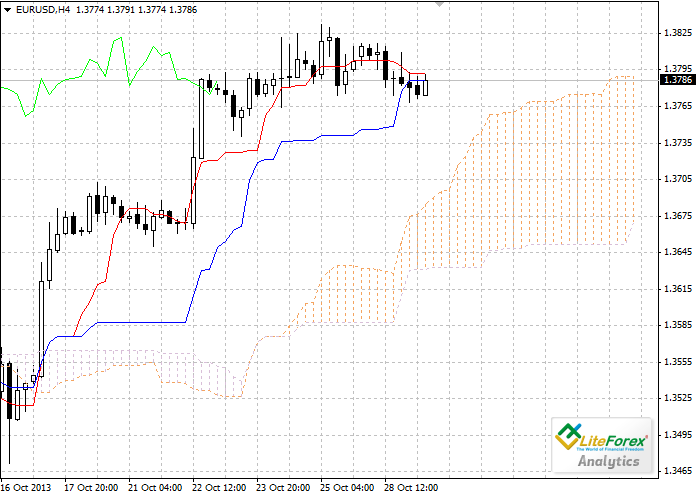 The closest support level is the upper border of the cloud (1.3836). The pair USD/CAD continues to show steady growth. If the pair manages to break down resistance level of 1.0457, the pair may go up to the level of 1.0555. At the beginning of this week the pair NZD/USD reached new highs of 0.8550, pushed off from the upper boundary of the ascending channel and fell sharply to the level of 0.8300. Currently the NZD is testing the lower level of the ascending channel, breakout of this level will enable further decline in the pair. Yesterday the pair USD/CAD has risen abruptly after the release of Bank of Canada Rate Statement. The interest rate remained the same to the surprise of the market players. BoC used to say, that poor economic conditions led to the hard-edged monetary policy. Contrary to the expectations, yesterday’s data on the number of jobs outside agricultural sector in the USA was negative. The index amounted to 148 thousand against the forecast of 180 thousand. This fact caused significant decline o=in the USD and the pair EUR/USD went up to the level of 1.3791.